What a time to be alive, if you’re an Abba fan (and who isn’t?). Not only have the Swedish pop legends announced a sensational return to the recording studio after a 35-year hiatus (new music coming in December), but there’s another film on the way (Mamma Mia! Here We Go Again is out in July), and to cap it all, there’s the return of Benny, Bjorn and Tim Rice’s 1980s musical Chess to the London stage. Chess has had a chequered history. 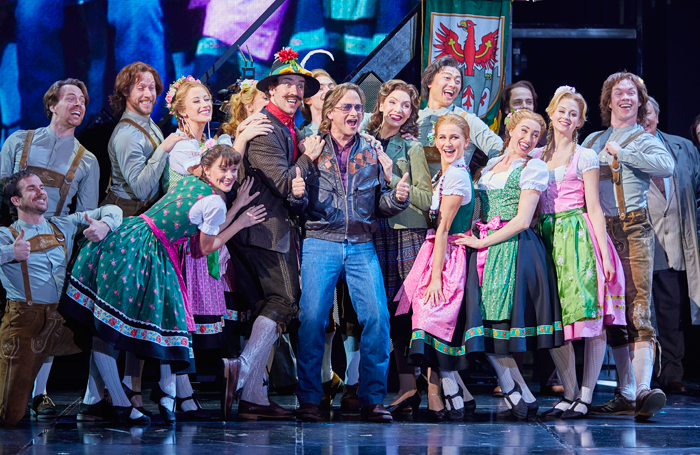 Developed in the early eighties, it was released first as a concept album in 1984, went on a European concert tour, and finally made it to the theatrical stage in 1986 in a star-studded West End production directed by Trevor Nunn that would run for three years. 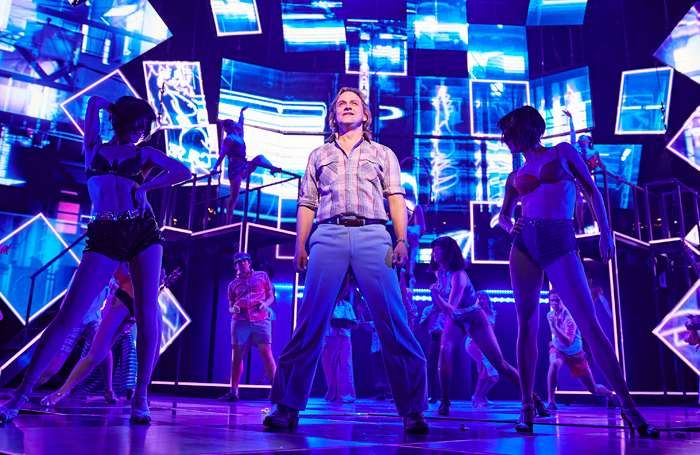 A radically rewritten version flopped on Broadway in 1988, and despite several national and international touring productions, it’s not had a big-budget, box-office London revival since. Until now. Here we go again, then. 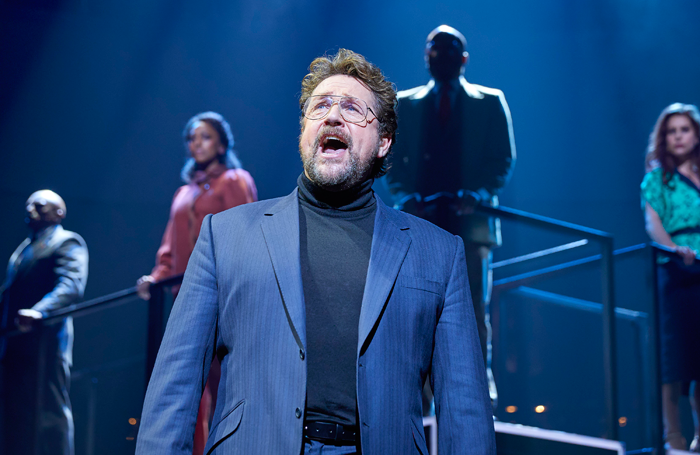 Directed by Laurence Connor, and starring Michael Ball, Alexandra Burke, Tim Howar and Cassidy Janson, Chess is at the Coliseum until early June, in a version far closer to the West End original than the Broadway bum note. It’s another collaboration between the ENO and GradeLinnit – the partnership that’s brought us a hit-and-miss roster of revivals in recent years, including Sweeney Todd, Sunset Boulevard and Carousel. But do Connor and his starry cast capture the contradictions of Chess? Does the Abba boys’ sparkling score still knock the critics over? Or is it back to square one for everyone involved? Chess is about two rival grandmasters, one American, one Soviet, and their love affairs. But it’s really a not-so-subtle metaphor about US-Soviet relations during the Cold War. 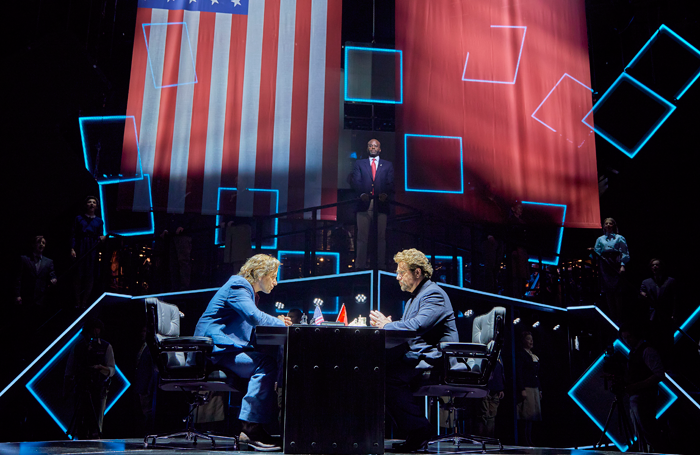 When it faltered and flopped on Broadway in 1988, the critics panned Chess for its paper-thin plot and sledgehammer approach to global politics. Plus ça change, as it turns out. “Why? Why did they revive it?” questions Ann Treneman (Times, ★★), while Alice Jones (The I, ★★) calls the musical “as relevant as a puffball skirt, or Kajagoogoo”. The show stands accused by most of being plot-light and politically incorrect (that Thailand scene in particular takes a walloping), but it has a few defenders. Mark Valencia (WhatsOnStage, ★★★★) thinks it’s diplomatic overtones “reek of prescience”, while Marianka Swain (Broadway World, ★★★) calls it “thematically rich”. Most reviews tend to concur, though: a musical about two chaps playing chess is about as interesting as it sounds. But Chess isn’t well-loved for its literary heritage or its insightful political commentary. It’s known for its score. Benny and Bjorn collaborated here on some stone-cold classics: I Know Him So Well, Pity the Child, Heaven Help My Heart (there’s even a new one for Alexandra Burke, lifted from a depoliticised Swedish version from 2002). And if there’s one thing the critics can agree on, it’s that the Abba boys could sure write a tune. 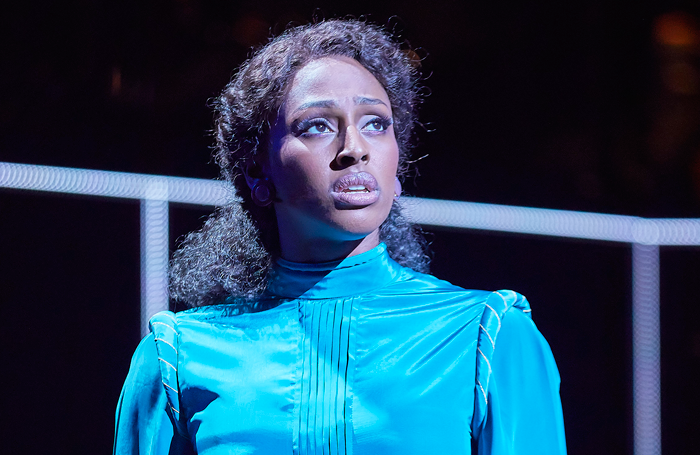 And how does the star-studded cast – Michael Ball and Tim Howar as the competing masters, Alexandra Burke and Cassidy Janson as their love interests – cope with Chess’ challenging vocals? Do these kings and queens make all the right moves? Well, some critics think it’s quite tough to tell. Tony Peters (Radio Times, ★★★) complains of “a dodgy sound mix”, Bano moans that “treble-heavy sound makes it difficult to hear what everyone’s singing”, and Taylor notes a sound balance that “makes Rice’s lyrics unintelligible”. Those that could hear the cast sing, though, are generally pretty impressed. “Ball’s Act I closing song Anthem is a thrilling tour-de-force, as is Howar’s Act II dazzler Pity the Child, while Janson has her moment in the spotlight with Nobody’s Side and Burke with Someone Else’s Story,” relates Shenton. The show doesn’t have a lot to sing about, then, but it sings it very well nonetheless. What about Laurence Connor’s direction? Does his staging manage to inject some sense into this stalemate? Chess – Wasn’t it good (oh so good)? No, it really wasn’t. This revival has a few fans, but in general, the critics can’t look past the show’s insensitivity, it’s incomprehensible plot and Connor’s unnecessarily flashy staging. The precious few stars that are handed out – two-star ratings abound – are given largely for the incomparable score, which has rarely sounded better than it does here, and for the efforts of Ball, Howar, Burke and Janson. Beyond that, though, it’s all over for Chess. Checkmate.